Everything changed on 9th March 1959. This was the date that the very first Barbie doll made its debut appearance at the American International Toy Fair in New York. Since then, more than one billion Barbies have been sold in 150 countries across the world. Barbie is so popular that 9th March has even been named Barbie Day, and conventions and celebrations are held to celebrate the fact. Barbie, whose full name is Barbara Millicent Roberts, was the creation of Ruth Handler, and it was Mattel who start the production of these iconic dolls. Ken, Barbie’s long term boyfriend, was introduced two years later, and in the intervening 60 years, there have been many different variations of Barbie, reflecting changing times and attitudes. To date, there are 33 different Barbies with varying hair, eye, and skin colours, not to mention different careers. The interesting thing about Barbie is that this was one of the very first toys to have television advertising as its main marketing strategy. It worked. Everyone knows Barbie – she is instantly recognisable, and if you didn’t have one growing up, you knew someone who did. Barbie is one of the few toys that has stood the test of time. Think back to your own childhood – what has remained constant in the world of toys? What do children play with today that you played with back then? The answer is likely to be ‘not much’. As time moves on and technology in particular advances, children’s tastes change. What six and seven year olds were playing with in the 60s and 70s is completely different to what they are playing with now. Except, it seems, for Barbie. There is clearly a recipe for success with this doll’s marketing that has stood the test of time and means that children (mostly girls, but boys also enjoy Barbie make believe) still want her in their lives. One of the key factors in this is that the toy has never been allowed to grow old or stale. Look at Barbie now and compare her to the Barbie who started coming off the production line in 1959; she is the same in many ways, but there are subtle differences that mean she is up to date. Children won’t even realise they are playing with an iconic toy from the past because she is comparable to their present. 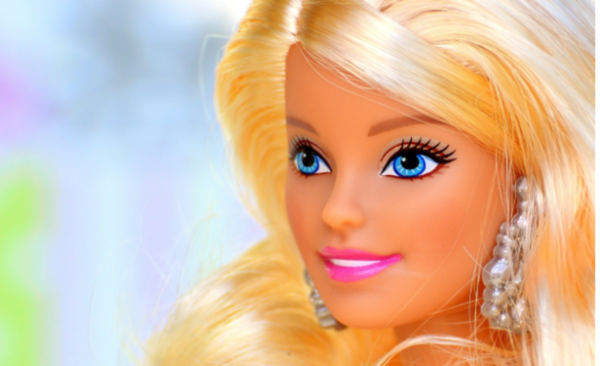 The above is borne out when you study how Barbie has changed across the decades. In the 60s she was a housewife, showing girls how they could look and act and be when they got older. This concept changed once attitudes changed and it was more ‘acceptable’ for women to go out to work and be their own person. In the 80s, then, not only did Barbie take on the fashions (bright eye shadow, aerobics leotards, big hair, and the like) but she took on the world too, gaining ambition and trying a variety of different careers and roles. The 80s was a big turning point for Barbie. In 1981 the first black Barbie was introduced, reflecting society. Children were growing up with all kinds of different ethnicities around them at school and at home, and if Barbie had remained solely this blonde haired, blue eyed, tall, slim doll she may not have stayed so popular. The fact that a child could find a Barbie that looked like she could when she grew up was exciting, and boosted her popularity once more. Barbie has always had competition. Sindy was the main doll vying for the top spot, and the pair do look similar, but Sindy, although she still exists, never quite gained the popularity that Barbie had. She was the kind of doll that children who didn’t want to be like the others asked for – she was a rebellion more than a true love. Barbie, who was advertised as being kind, compassionate, gentle, loving, but also adventurous and ambitious (eventually), was much more the thing. Plus, this was the doll that the parents liked. A child might want a toy, but if a parent doesn’t like it and doesn’t agree with what it stands for, the child will continue to want, but they won’t get. Barbie appealed to parents and children alike, meaning that when she was added to a Christmas list, or saved up for with weeks’ worth of pocket money, she was allowed. Sindy wasn’t the only form of competition that Barbie had. Over the years, many different dolls have appeared on the market, and today there are a plethora of similar seeming toys to choose from. The Bratz dolls are a prime example – they are brash, loud, exciting things that kids seem to be drawn to. They make Barbie look rather pure and wholesome by comparison. Then there is Lottie, who adores her ponies and ballet dancing, and is clearly aimed at middle class girls who enjoy the same activities. Yet Barbie still wins out. Perhaps it is because of the name; 60 years of knowing what someone looks like as soon as they are put on a toy shelf, and recognising that unmistakeable signature will do that. Perhaps it’s because of the nostalgia. Children playing with Barbie today are likely to be playing with the same toys (maybe even the exact same toys) as their parents did. It could even be the same toys that their grandparents played with. This generational love is a powerful thing, and is an effective marketing tool in its own right. Barbie has been around for 60 years. She has her own day to celebrate how much she is loved. Girls and boys across the world play with her as much today as they did when she was a fresh faced toy that no one had ever seen before. And much of this is down to the way that Mattel is able to keep her exciting and current. It is this ability to take notice of what is happening in the world and adapt that has made Barbie stick around, and not go the way of so many other similar toys that relied too much on their popularity and lost out when times changed and the children who were playing with them grew up. The key to success, then, is adaptability. Have a core product that people love, but introduce accessories that mean it stays up to date no matter what is happening in the world. In this way, you can have that ‘Barbie moment’ and keep on selling.